We pride ourselves on excellent service and swift customer response. 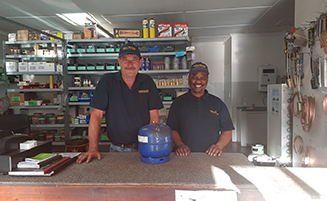 Gasco Services has been supplying the gas needs of customers in George and the Garden Route for the last 32 years. We service customers from as far afield as Mossel Bay, Knysna and Oudtshoorn. We exchange or refill LPG Cylinders for domestic and commercial purposes in a range of sizes and at extremely competitive prices. 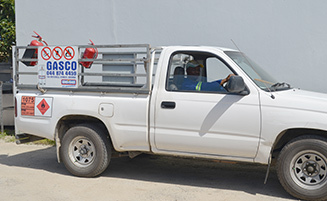 We will deliver daily to George and surrounding areas. We supply a range of Afrox Industrial Gases and Portapacks. Our very experienced technician is a wizard at repairing faulty gas appliances. 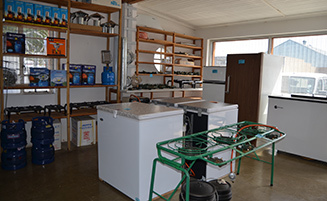 Visit our shop for our wide range of gas geysers, stoves, fridges, freezers and other appliances. We also stock gas related hardware and spares and some camping accessories. Come and speak to Adam or Sarel about your gas installation requirements. We will design and execute an installation to suit your needs that is fully compliant with the legal specifications. A compliance certificate will be issued on completion. 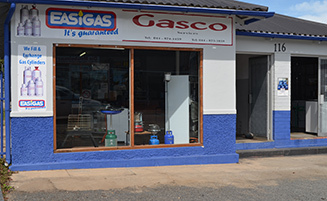 Gasco Services has been tending to the gas needs of customers in George and surrounding areas for the last 32 years. We are situated at 116 Mitchell Street, George. 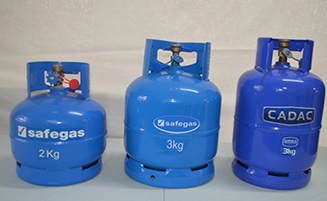 The gas used for domestic purposes is Liquefied Petroleum Gas otherwise known as LP gas. We stock a wide range of gas spares and appliances from gas stoves and deep freezers to jets and regulators. We have an extremely good reputation for our success in repairing LP Gas appliances. You can bring your faulty LP Gas appliance into our shop at 116 Mitchell Street for repair on site and if we cannot repair your item, we will not charge you.